The fastest way to get the value of any home when you’re out and about. 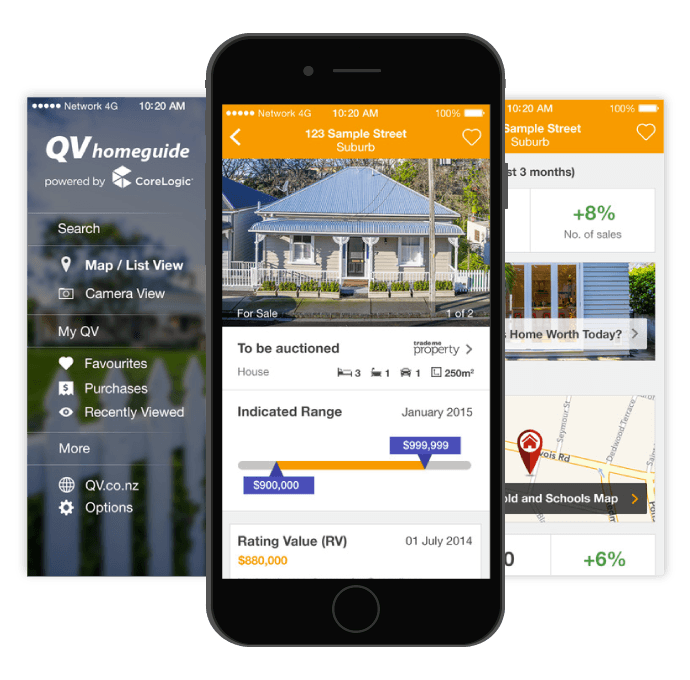 QV Homeguide allows instant access to the latest information on any property right from your mobile. Make more informed decisions whether buying, selling, or just browsing. Using the latest data from CoreLogic NZ users can get all the information they need to make an informed decision. Find out the value of a home today or what it last sold for. See the rating value as well as various property attributes in this simple-to-use, but powerful app. 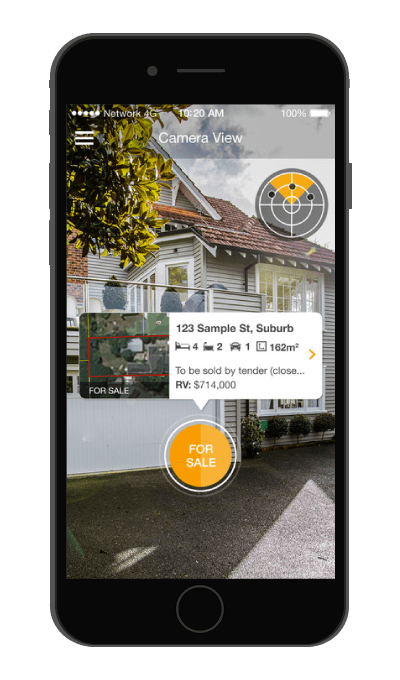 The camera view uses augmented reality to overlay quick property data on homes in the area. 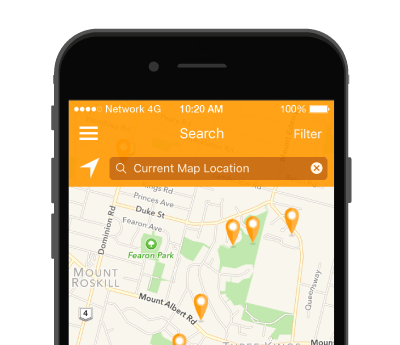 Users can search for an address or use the map view to lookup property details on any home. A simple tap on any home reveals more details about the area around a property. Mobile users can see similar homes and what they sold for, as well as the estimated value median for properties in the area and annual growth. Local demographics and nearby school zones paint a more comprehensive picture. Users can also discover what hazards may be associated with the property or gain access to the certificate of title information with an in-app purchase. QV Homeguide provides the Indicated Range of what the property is estimated to be worth within the given month. If a user requires more confidence in the property’s value they can purchase an instant estimate of what the home is worth today or request a full market valuation from QV directly through the app.